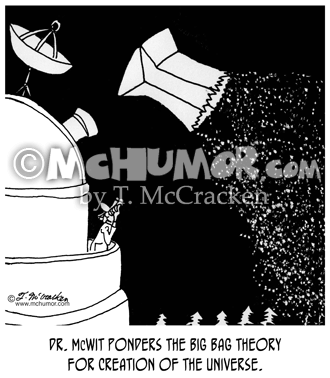 Astronomy Cartoon 5928: "Dr. McWit ponders the Big Bag theory for Creation of the Universe." An astronomer looks at a huge paper bag floating in the cosmos. 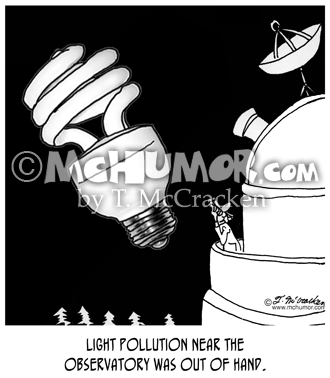 Astronomy Cartoon 1747: "The Big Bang Theory Revisited." 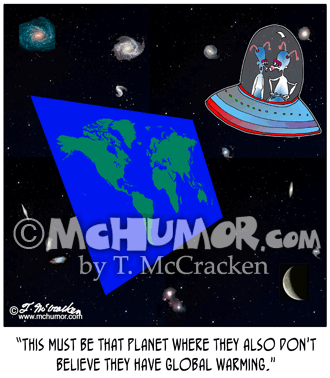 Black space. 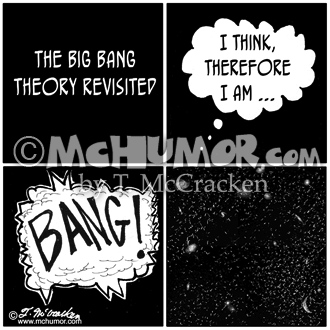 A thought bubble, "I think, therefore I am ... " A huge explosion. 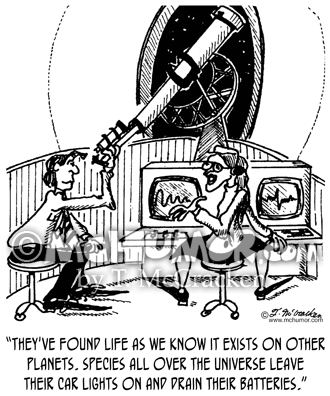 Stars dot the black space. 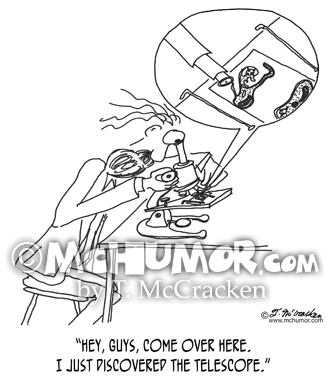 Microscope Cartoon 0113: An amoeba looking up microscope lens shouts, "Hey, guys, come over here. 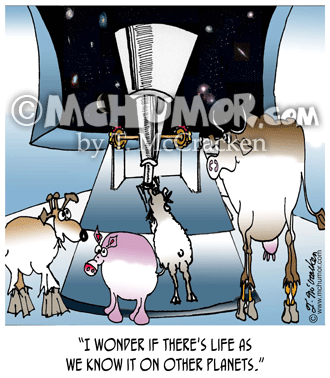 I just discovered the telescope." 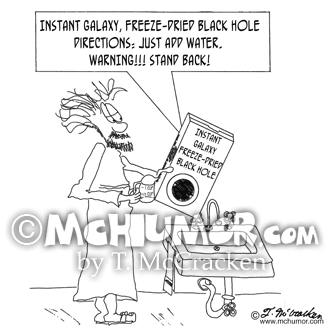 Galaxy Cartoon 0129: A long-haired man holds a box that says, "Instant Galaxy, Freeze-Dried Black Hole. Directions: Just add water. WARNING!!! 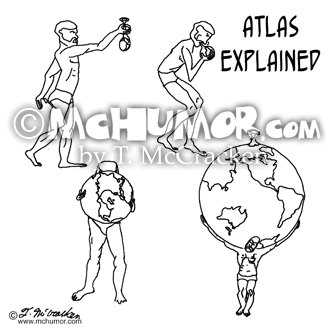 Stand back or it might be dangerous to your health."